I would like to make my i5 460M fully supported in Samsung R540. Samsung originally was also mounting i5 450M, which is quite the same as 460M. I upgraded my old laptop from P6100 to i5 460M. 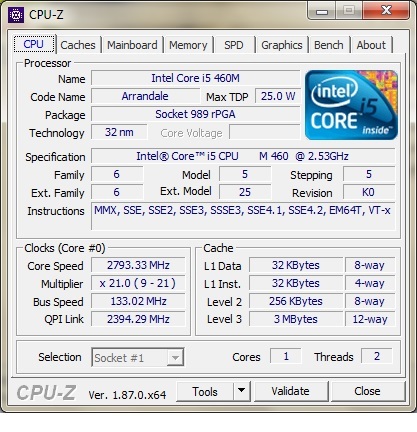 Computer works, but both Windows and CPU-Z see only 1 core/2threads, so this is only a half of CPU. Is there any chance to add CPU support to motherboard BIOS? Run msconfig.exe, go to tab Boot, click BOOT Advanced options button, make a screenshot. 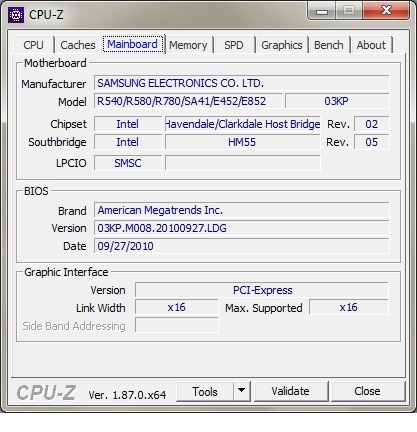 Today I was looking for solution and I found many validations from CPU-Z people who has the same notebook with the same BIOS version. The solution is "number of processors" in msconfig. I unchecked "number of processors" field and it worked! Thank you for your reply, topic may be marked as resolved.